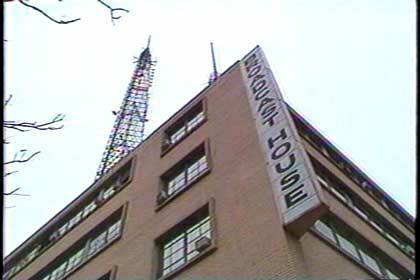 In 1966 I was fortunate enough to be asked to write and produce a show celebrating the history of WTOP radio. That was one of my most enjoyable assignments. Although I felt a little overwhelmed ....I was honored and gave it my best shot. I spent a lot of time out at the transmitter going through mounds and mounds...of old discs...many of which were glass based. The transmitter engineers said that when the weather would change rather dramatically.....you would hear some of those old discs crack. I think I salvaged enough of them to keep the show interesting. So, on a Sunday night in the Fall of 66....we kicked off a week of promoting our 40th anniversary.....with the History show that I wrote and narrated....and Jon Posey produced. We did it live.......and I think it came off very well. We even got a little blurb in Variety magazine. I thought it was lost...........until about 4 years ago...when I saw it mentioned on the internet........as being in the archives at Maryland University. I got a copy from them.......and gave it out to many of our people at Thurmont. I'll bring more copies at our next luncheon in the fall.